How Young is Too Young to Skate? 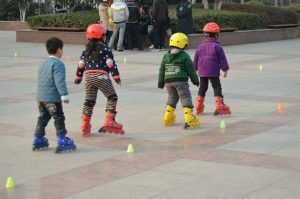 Are you interested in helping your child to learn to roller skate? If so, we have a wonderful way to help preschool aged children learn to skate! Rollers and Strollers is a special class that we hold every Tuesday from 10:00 am – 12:00 pm (October through April). For only $6.00 admission, you can bring your preschool aged child to the rink to learn to skate! Admission includes their skate rental, skate trainers to help them along, and admission to the Bounce Zone. What’s more, all children are welcome to bring their favorite riding toy or tricycle to drive around the rink on! This way, even if they have a little trouble on their skates, they can still have some fun doing laps around the rink. Taking their riding toys for a spin is also a great way to get them excited about the rink. Don’t worry if your child is a little too old for Rollers and Strollers, because we also have outstanding skating lessons available every week. On Saturdays from 11:00 am – 11:45 am is our Learn to Skate Class. Each class is led by a certified roller skating instructor, so with a little practice your child is sure to pick up skating in no time! Admission to each Learn to Skate Class also includes free admission to the regular afternoon skating session which runs from noon until 10:00 pm. When you take into account the added value of the regular skate session, the lessons are basically free! Admission to our North Tonawanda Learn to Skate Class is only $7.00 per person and $3.00 for skate rentals. 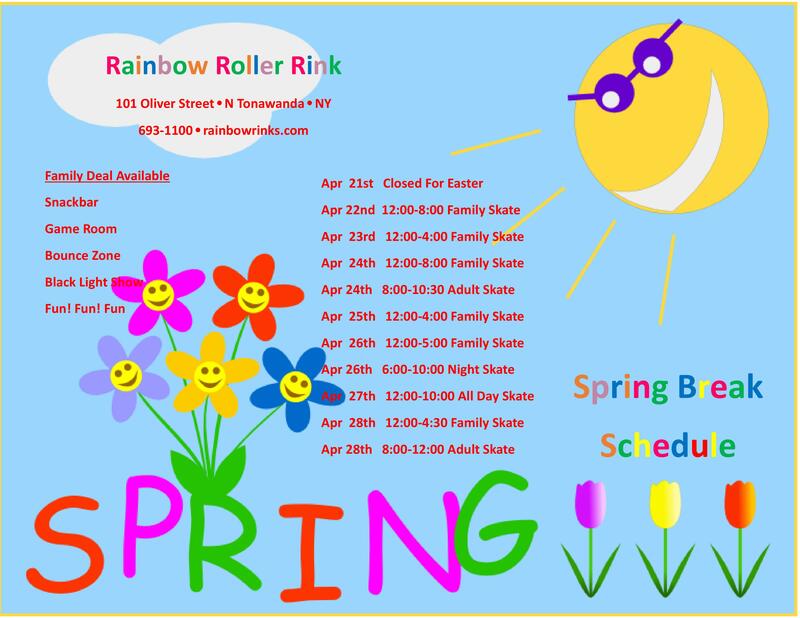 So make plans to let us help teach your little ones how to skate with our weekly North Tonawanda Skating Lessons or our Rollers and Strollers classes. And be sure to check out our other upcoming North Tonawanda events!